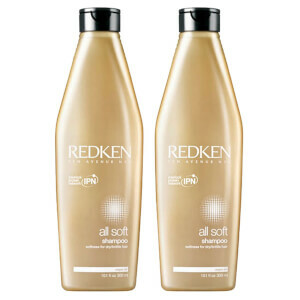 Smooth dry, brittle hair with TLC and restore it to a naturally beautiful state with the Redken All Soft Duo. Bid farewell to dry, brittle locks with this duo of hair saviours while enjoying a fantastic saving on this twosome of caring All Soft products. 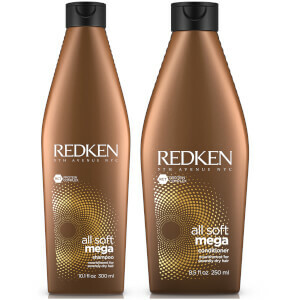 Immerse dry, brittle hair in total softness with the All Soft Duo. 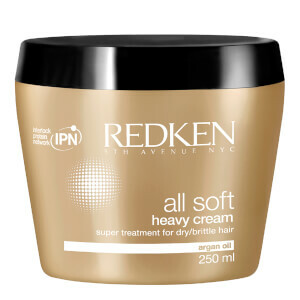 Redken's Silk-Luxe Complex with avocado oil, proteins and amino acids condition and seal in moisture, while the Interbond Conditioning System softens, and adds shine. This ultra rich formula seals in moisture, gently cleanses and softens your hair leaving it more manageable and shiny. If you have excessively dry, brittle or frizzy hair don’t chop it off and start again. Fight back with this nourishing, detangling conditioner, which is the ultimate weapon in the fight for smooth, shiny and rehydrated hair. I have been using this range for years. It is excellent . Cleans hair beautifully and the conditioner makes the hair soft,smooth,and healthy. 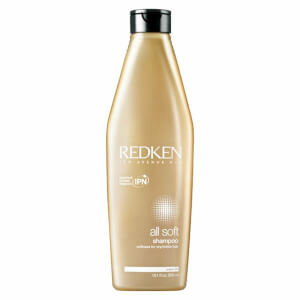 Once a week I use the Redken Blondage range , as I am part blonde part grey. Great Shampoo & conditioner, my favourite. Hairs feel so soft and silky after! Highly recommend. This is my go to range! Have been using All soft for years . Never disappointed! Excellent well worth the money left my hair so soft and smells lush! I would not use any other shampoo for my hair now. The conditioner is a bonus for your hair, leaves it looking like you’ve been in a salon, I would definitely say this is for thick hair. Leaves my coloured hair soft and silky. Smells wonderful too. Only a small amount of shampoo required as it lathers really well. Conditioner works really well too. Really good value. Using this duo has been a game changer. My hair was soft and smooth as silk after I used the shampoo and conditioner. I leave the conditioner on for 2 minutes and then rinse. Love this! Redken make THE best hair products ever! I've used them for over 40 years! I absolutely love these products. My hair stresses me out each time I wash it and then have to straighten it to death to just get a smooth finish. I can now wash it and not even straighten it now. My only negative is the conditioner is really hard to get out of the bottle... new design needed. Other than that I would highly recommend these products.